When I revealed our patio makeover, I mentioned I tried to do it all on a budget so I did as many DIY projects as possible. The furniture set that we bought for outside came with two ottomans, which is great when we have lots of people over and either need additional seating, or more comfort for feet. But one thing I was lacking on was tables and with limited space left over I didn’t want to fill the whole area with a big coffee table. The cushions of the ottoman just tied on so they’re easy to take on and take off which makes my new table solution easy to go back and forth between the two. See that ugly yellowish stain in the “before” picture?? Yeah I’m hoping my next BIG DIY project takes care of those ugly spots. Anyways back to the table. Of course my first go to idea is to use reclaimed pallet wood because I always have so much on hand…. You can see how I cut apart a pallet here, and that’s how I got that big beautiful pile of reclaimed wood. Not to mention all the other pallets that need to be attacked some weekend. Here’s how I made the table top and measure out my pallet pieces. I measured both the length and width of the table base (which is that piece in the upper right of the last picture). I searched through my pile of wood for pieces that fit well together. This part is kind of a miss match pattern that I do. I look at each piece look for curves, big cracks, and type of wood. I’ll play around with the pieces until I have them put together in a way that I like. Then I use a T-Square ruler to help draw straight lines. You can’t necessary use the first board as an exact line because your pallet pieces probably aren’t 100% straight. I just use it as a guide to help and eyeball what looks best. Because I wanted some of the pieces to have the original nail heads in them I chose which pieces I liked the ends best and used those as the very edge pieces. Then I just lined up the other pieces and used the ruler to draw a cut line with chalk. Then I always use a circular saw, work table and clamps to cut my wood because (ever so sadly) I don’t have a miter saw. (#1 on my Christmas list – hint hint wink wink nudge nudge). Reminder – safety first! Always use clamps, always wear safety goggles, always be aware of hand placement. Then once I have all my boards cut to size, I cut two more pieces which will be the vertical support pieces on the back. This is what I checked first before starting my project and knew it was fate I made this table top – my pallet support pieces were like 1mm smaller width than the open gap sections of the table base. So I lined everything up so the support bars would fit perfectly in between that gap and hold it secure so wouldn’t slide off. Now it’s time for a crazy Pam picture as it was like 105 degrees out this day and I was WORKING UP A SWEAT! Next is the staining. I always use a staining pad when I’m staining reclaimed wood. I also ALWAYS use Minwax Provincial stain. I big puffy heart it for reclaimed wood. Then after drying time, I just sealed it with a polyurethane so it’s suitable for outdoor use. And simple as that I have an interchangeable ottoman to table. Comfortable, convenience and rustic…. it’s the perfect addition to our new outdoor space! What do you think?? Are you still a fan of the rustic wood tables for outdoor spaces, or are you over the fad of them?? Homeowner Fall Checklist and a GIVEAWAY! Today’s discussion is brought to you by Filtrete Filters. I am a brand ambassador for Filtrete and sharing my love of their products with you! It’s that time of the year. It’s officially Fall. How many PSL’s (Pumpkin Spice Latte’s) have you had already??? Fact: I’ve never had one! This past weekend I finally crossed the last to do’s off my spring/summer list. No not the fun list of beach outings, campfires, and sun tan’s. The Homeowner to do list of maintenance, cleaning and love of the home. We got our house and fence power washed and it looks BEAUTIFUL! Obviously it’s a lot longer of a list than the spring list I posted earlier this year… but I wanted to make one that was a total of home tips and maintenance rules to keep your house running in tip top shape. 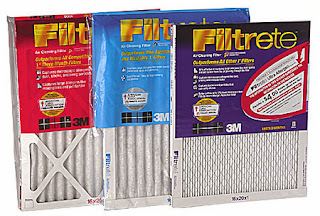 One of the easiest things to check off that list is the first one --- change out those air filters!!! It’s honestly one of those tasks that can easily go forgotten about but it really can make a difference. Not just in the air quality within your home but will help your electricity bill. So that’s why I’m so excited to say that I have an awesome bundle prize pack to giveaway to one lucky reader! Happiness level when winning: 10 ! Sometimes procrastination gets the best of us…. this is a project that should have been done the first week of summer so I could have enjoyed it every single day of summer. Then again – it rained A LOT this summer (I’ll use that as my excuse). But! The important thing is that I did it! I finally have a beautiful backyard retreat. Somewhere I can go kick my feet up, enjoy weekend days in the shade, and cool evenings under the twinkle lights. 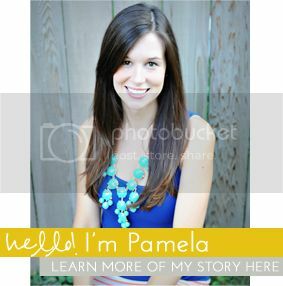 This makeover was really easy and pretty inexpensive too. The only investment was the furniture – but it was about time we finally bought some quality furniture anyways. Right?! I HATED going back there, not just for it’s embarrassment factor but because there was ZERO shade. It was SO SO HOT. It’s where I cut up most of my wood so there was sawdust everywhere. And I think every spider in the world thought I was providing it free apartment space. The Hampton Bay Arrow Gazebo was the same one she bought from Home Depot. I needed an affordable option that would create the overall atmosphere, instead of just a concrete slab. Originally I always wanted to break up the concrete slab and lay new flagstone, or even create a new floating deck. But those were all costly, and timely, projects that I just wasn’t able to do on my own easily. This gazebo was the perfect option. It is inexpensive but really frames the patio and creates a nice retreat. Plus my favorite feature – the sides zip up to be a bug free area. Since our backdoor doesn’t have a screen door we get A LOT of flies in our home on the weekends going in and out. Zipping up the netting makes the perfect “extra big” screen door effect. As I said the only real costly investment was the furniture. We picked the Ragan Meadow 7 piece set (on sale right now so if interested – score it now!) set from Wal-Mart (they actually have really great outdoor living furniture and accessories). I chose it because initially I wanted a love seat with two additional chairs. I couldn’t find any sets that I really liked though. This set ended up being exactly what I wanted because each section of the sectional is it’s own piece so I can arrange all 5 chair pieces to the set up I want. It also came with two ottomans that you can have separate or attach together. I choose to go a different route….. I kept one ottoman as a soft place for our feet to land. The second I turned into a reclaimed wood top table! It was perfect because I didn’t want to go purchase a new table, and I (as usual) had lots of reclaimed wood available. Then I just bargain shopped to fill the area with accessories to make it a comfortable and cozy place to relax. Which actually was really nice to do towards the end of summer because I scored most things on sale or clearance. I shopped the aisles of TJ Maxx Home Goods, Garden Ridge, Wal-Mart, and Target. I love coming home from a long day at work and relaxing back here during dinner with the kids… or even the few moments of sunset time once the kids are in bed. I turn on the twinkle lights and the LED candles/lights and relax with a nice class of wine. Since the days are starting to become shorter than the long summer days I filled the space with fall decorations and beautiful color mums. On the weekends we still enjoy the shade it provides from the sun and the kids love having a space they can take a break in and relax. So what do you think???! Do you feel inspired to create a space next year that you and your family can retreat too during the summer days? Or maybe you can wrap up this project in a weekend and still enjoy the crisp beautiful Fall evenings in your backyard. Wish you all could come over and relax in our backyard patio transformation with us!!! If you enjoy the space I’d LOVE it if you shared it or gave it a good Pin to spread the space! VIRTUAL BACKYARD PATIO! One of the last room’s I haven’t shared on the blog, is actually one of the first rooms I decorated when we first moved in. Our son Jackson’s room! I’m really excited to finally be sharing it and I have loved the details I used in this room since I began with the vintage theme. It’s a mixture of antique cars I’ve found at thrift stores, a few model cars made by his Grandma, some "new pieces" that have a faux vintage look to them, and many DIY projects. It can be a fine line when decorating kids room about what’s practical for them, but what you want as décor. Jackson understood from the beginning pretty easily that a lot of the décor items were “decoration” and not to be played with. But I also combined areas for him that were play-based items. I chose a dark matte blue for the walls, and actually this was the back up color I chose. The first one was almost black it was so dark, my husband did one paint roll of it and said “No Way!”. Probably better that he did because his room has been the HARDEST room for me to take pictures in because of the dark wall color, with only one window right in the middle. I shared how I painted his curtains here, and that cute little yellow wagon was a quick and easy DIY I shared here. As you can see he has TONS of stuffed animals, there’s two more filled baskets you can’t see. I changed up the dresser knobs to fun and funky faucet handles I ordered online which I shared here. The Ford grill was a favorite find at a local flea market. It fits PERFECTLY in his room and I just love it. Initially my plan was to make a headboard from it once he was in a big boy bed…. but I have just loved it up there as décor so haven’t done that project yet. I redid the nightstand table as a bold color furniture choice and love the pop of color against the dull rusted out suitcases I stacked on top to add height compared to his bed rails. His room is really the only room I’ve ever used bold bright colors so I like to have fun with projects when I can. He absolutely loves his bright red locker which he stores his favorite jerserys. This is one of his “play zones”. A big ol’ chalkboard and a chalkboard table. That fun lamp was made from a tennis basket that I picked up at Luckett’s Flea Market a couple years ago. Just flipped it over and threaded a light kit from Ikea through it and used Command hooks to hang. Easy – but totally unique lamp! Jackson was just dying when I was in his room taking pictures begging to be in every single shot so of course I’ll wrap up his tour when the cutest thing in his room! What do you think? Do you like the vintage truck theme for a little boys room?